MONEY SAVING TIPS + LIFE HACKS FOR GIRLS! I’ve got a bit of a different post for you all today which I’m pretty excited about sharing with you! I’ve teamed up with the lovely folk over at Voucher Codes to come up with my top five money saving tips and life hacks, and being a bit of a thrifter myself, I had a fair few! I’m always on the hunt for ways to save a few pennies here an there, particularly now that I’m trying to save up some funds for furniture, so I have plenty of tips to share with you all! So here are my top five money saving tips and life hacks, tailored for all you girls! Gone are the days when the charity shop was the place to avoid, or the place you were embarrassed to be seen in. Believe me, they are your best friend! I try to have rummage around at least five of my local charity shops once a month to dig out some gems, and always come home with some goodies. Personally I prefer to shop for Vintage as the quality is so much better and the prices are amazing, but there are also some great high street finds to be had. It’s also a good idea to make yourself a bit of money too! Find yourself some bargains and sell them for profit on eBay if they aren’t your style. You’d be amazed at how much you could make. Below are some recent charity shop buys of mine, all priced at less than £5 each! 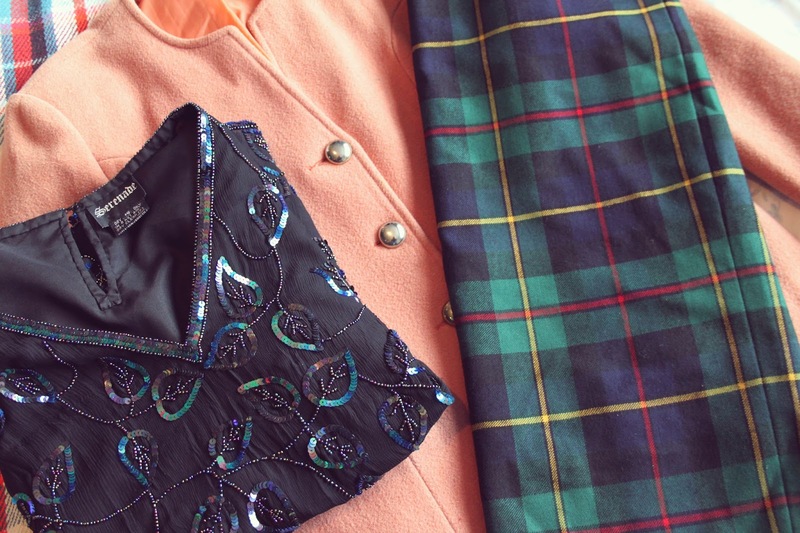 I managed to bag myself a gorgeous vintage wool camel jacket, (perfect teamed with a pair of skinnies and a plain tee), a stunning sequinned blouse and a vintage tartan pencil skirt that is bang on trend and was a fraction of the price of high street versions! Mission accomplished. We all have our favourite high street fashion rings that we love, but they tarnish so quickly and leave us with those ghastly green marks on our fingers! This is a super easy, super fast solution to keep the pesky stains at bay – just simply paint the inside of your rings with clear nail polish and ta-dah! Stain free hands! No more throwing away or repurchasing rings that have tarnished and no need to spend money on more expensive alternatives. Money = saved. Another little tip to put your clear polish to good use! Add a few drops to your old polishes that have started to dry up (you know the ones… gloopy, messy and hard to work with), give them a good shake and you’re polish will have thinned down back to normal! Depending on how thick on the gloopy scale, you may need to use a little more clear polish, but this tried and tested method has always worked for me! I can keep my favourite colours going right to the end of the bottle. Life Hack #004 – Cheap Dates! Or cheap anything for that matter. What I’m talking about here is looking for voucher codes. Dan and I try to get out at least once a month and put some time aside for a bit of a date night, where we will go out for a nice meal and a couple of drinks and take some time out from the world. We both work full time so evenings we do get to spend together we try to make the most of, but saving for a place together means we have to penny pinch. A quick hunt on the internet before leaving the house and we find tonnes of discount vouchers for local restaurants. 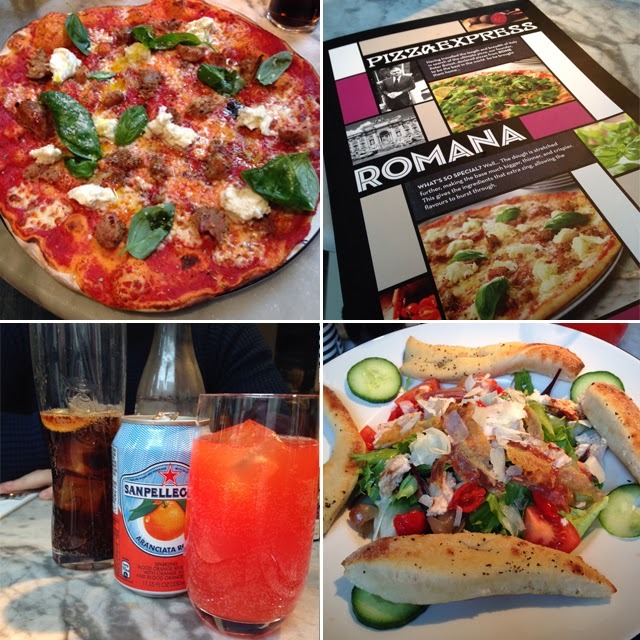 Our favourite haunt at the minute has to be Pizza Express, who offer amazing discounts. Last week we bagged a code for 25% off main courses, which slashed quite a hefty amount off our bill and still left us full and content. Another code we used a couple of weeks back got us a huge 40% off our entire bill! Crazy, crazy discounts to be had on pretty much anything if you just take a moment to look for them! It’s no secret that there are some brilliant home remedies and beauty tricks that are based around products we all have lying around the kitchen. Honey, lemons and even eggs and beer can be used for various things, but one of my favourite homemade products (and one of the easiest!) 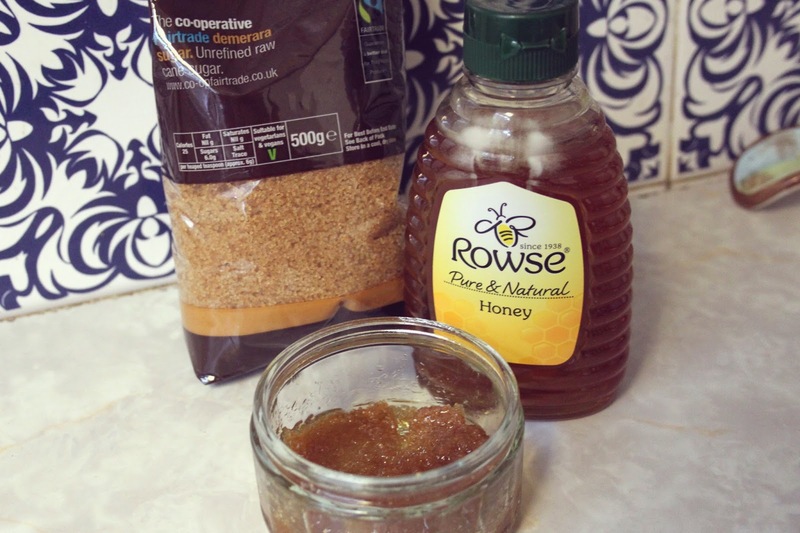 to make is a lip scrub using just two ingredients – honey and brown sugar! I guess this scrub could be used for anything from exfoliating your legs to gently scrubbing the days make up away from the face (though I’d recommend testing it in a small area first if you have sensitive skin like me!) but I like to use this on the lips, as, let’s face it, brown sugar and honey is pretty tasty. I just simply mix a bit of each ingredient together in a bowl until I’m happy with the consistency, then gently rub a little onto my lips until all the dry skin has been banished. I then finish by rinsing with warm water to get rid of any stickiness! So there you have it, my top five tips for saving some of your hard earned pennies and getting the most out of your cash. I’d love to hear some of your tips. Share yours in the comments below! There’s also a chance to win a £50 Amazon voucher from Voucher Codes if you share pictures of your tips on Pinterest! Just tag your picture with #VCLifeHacks to be entered into the giveaway! this is a great post, i especially love the tip on the nail polish on the inside of rings – i never thought about that!